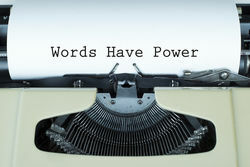 Writers intuitively understand that words are not just important, but absolutely critical. We compose multiple drafts to get our work where it ought to be. Yet this isn’t a philosophy everyone shares. Some people prefer to “speak from the heart” with a raw earnestness that’s appealing to certain individuals and offensive to others. I like studying language and tend to pay attention to both what's said and what's implied. Upon a recent visit to England and Ireland, I had the opportunity to learn several new words, along with amended interpretations of familiar terms. I'll confess: I'm as likely to make inadvertent mistakes as the next person, because I'm outgoing and engage total strangers in conversation. Generally, this goes well. Occasionally, it doesn't. I made a Londoner laugh, though he was kind enough to restrain a full guffaw, when I mentioned I would change into dressier pants before dinner. What I meant, of course, were my trousers, but in England, “pants” refers to underpants. In Ireland, a young man taught me that when something is “grand,” it’s okay. Not bad. Not great. If I want to say: “I’ve had a grand [=great] time,” I should substitute in “craic” [pronounced crack]. A typical Irish phrase: “Having the craic” = having a good time. The Oxford English Dictionary includes roughly 300 words that originated in Ireland. One of these is grá, or love. This noun takes an object, so a love of something. Writers have a grá of language. We hold words close, like lovers. It's not only important what we say, but how we say it. There was a downside to my amazing trip. A number of events and conversations were taking place that had nothing whatsoever to do with me. I was there to attend a literary festival, not to make statements on hot-button political issues making headlines in the U.S., U.K., and the European Union. But it seems I was not to emerge unscathed. I’d been invited to Ireland to read a bit of my work. The official book launch went beautifully. The audience was engaged. People held an unspoken respect for one another. Yet later that same evening, the atmosphere had altered significantly. A gentleman who’d come down from Belfast asked me to clarify the political significance of the light-hearted piece I’d read aloud. I was puzzled and responded that there was none. It was simply a story. He proceeded to skewer me for decades of U.S. policymaking. As a person who'd once served in the military, and the only American in the room, I was an ideal target for his vitriol. The moderator and several audience members (verbally) leapt to my defense. The man had a right to his opinions, but this wasn’t the place for an animated exchange, let alone a one-sided discourse. Later, he shook my hand and said he was “only having a craic.” As I’ve mentioned, this indicates he was having a good time. But it wasn’t fun to be on the receiving end. I felt as though he’d had a crack at me. I apologize if I'm stepping on toes. Yet if our leaders choose to be “earnest” in a way that’s unkind, disingenuous, or viciously blunt, that may take away others' grá of Americans. For the safety and security of people everywhere, I hope certain world leaders will choose their words carefully. Because one reckless statement could have lasting consequences for all of us. It's not about political correctness. It's about respect.